They had packed into the wood-framed building for a convocation address, where the speaker, Diane White-Clayton, would be talking about “Jesus, the Ultimate Rebel with a Cause.” Berea does not have a sectarian affiliation, but the remnants of its Christian foundation are readily apparent—so much so that, as Alicestyne Turley, a history professor at the college, told me, “we have students who come here who think they’re coming to a Christian college,” à la Liberty University or Notre Dame. White’s address was dotted with the markings of a Sunday sermon—not the stuffy kind, but the kind I’d heard time and again growing up—the jokes, the whooping, the lessons that come in threes. In her speech, White explained to the students that it didn't take supernatural abilities to do great things—only a purpose—and that all the evidence they needed could be found on the campus where they stood. Berea College isn’t like most other colleges. It was founded in 1855 by a Presbyterian minister who was an abolitionist. It was the first integrated, co-educational college in the South. And it has not charged students tuition since 1892. Every student on campus works, and its labor program is like work-study on steroids. The work includes everyday tasks such as janitorial services, but older students are often assigned jobs aligned to their academic program, and work on things such as web production or managing volunteer programs. And students receive a physical check for their labor that can go toward housing and living expenses. 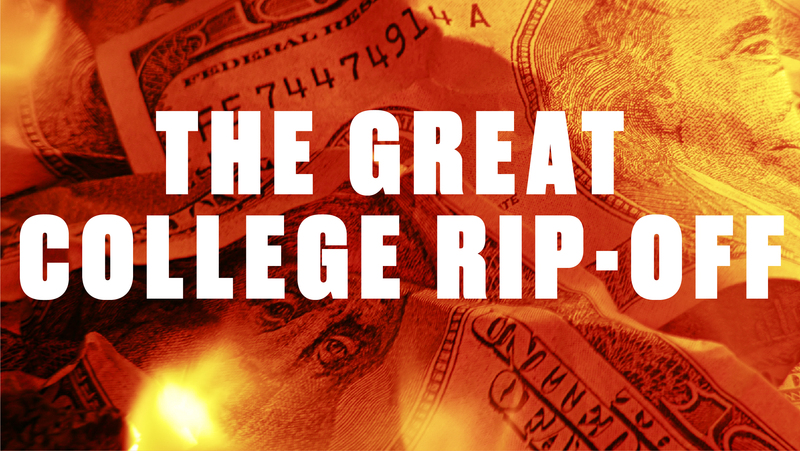 Forty-five percent of graduates have no debt, and the ones who do have an average of less than $7,000 in debt, according to Luke Hodson, the college’s director of admissions. On top of all of that: More than 90 percent of Berea College students are eligible to receive the Pell Grant—often used as a proxy for low-income enrollment. Most of those students, 70 percent to be exact, are from Appalachia—where nearly one of every five people live below the poverty line. And that recruiting pipeline in Appalachia produces a rather diverse class—more than 40 percent of the student body identify as racial minorities. But as the college was rebuilding its finances, there were no black students. Between 1904 and 1950, the Day Law prohibited black students from attending the college. In 1950, however, the law was amended to allow voluntary integration above the high school level. Two black students, William Ballew and Elizabeth Denney, enrolled that year. And in 1954, the year the Supreme Court ruled segregated schools unconstitutional in Brown v. Board, Jessie Zander became the first black graduate of the college since the Day Law took effect. Jeff Amburgey spends a lot of time thinking about the worst-case scenario. The endowment is what keeps the lights on—literally. About 75 percent of Berea's operating budget comes from endowment investment earnings—the spendable return on the endowment. Another 10 percent of the budget is from charitable giving, another 10 percent is from federal and state grants such as Pell, and then there is other, extraneous income making up the other five percent. The school pays the tuition, $39,400 per student a year, internally. But going tuition-free is a bigger ask. Berea College enrolls between 1,600 and 1,700 students in any given year, so scaling a tuition promise like theirs would be a much heavier lift for public regional colleges, and even larger private colleges. It would be theoretically doable, though, for some highly selective colleges with massive endowments. Some of them, such as Princeton, Brown, and Cornell, have already eliminated tuition for low-income students. But endowments are not like bank accounts where all of, say, Harvard’s $37 billion can be accessed instantly—often some of those funds are earmarked for specific things such as a professorship, or a program, or a specific scholarship. Colleges can not legally break that agreement. “Alright, give me back that bass line,” Clayton told them as the students began clapping again.